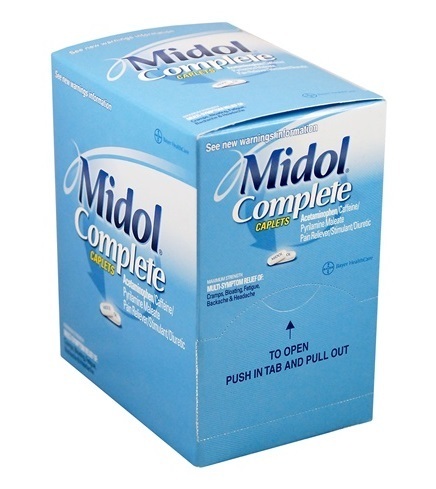 With a unique combination of three active ingredients, Midol Complete relieves many of the pesky symptoms that come with your period. Millions of women realize that they deserve better every month. So they depend on Midol Complete for maximum strength acetaminophen to relieve pain, caffeine to help reduce bloating and fatigue, and antihistamine to help alleviate water retention.